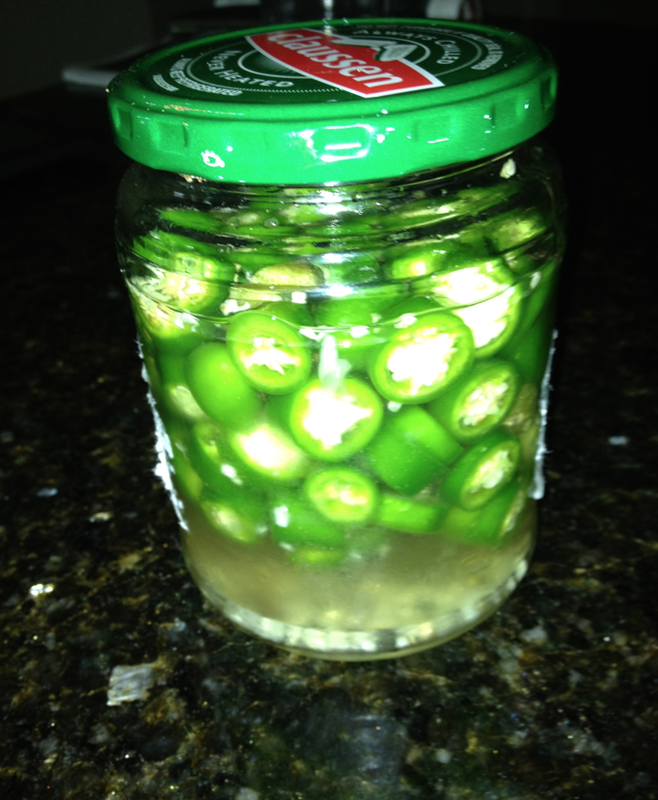 My jalapeno plant was producing fruit like crazy and I needed to pick ’em so I didn’t lose ’em. Thankfully I only had a couple Claussen pickles left so I finished them up, picked and cut up a bunch of jalapenos into the left over pickle juice. In a few days they started tasting pickle-y.